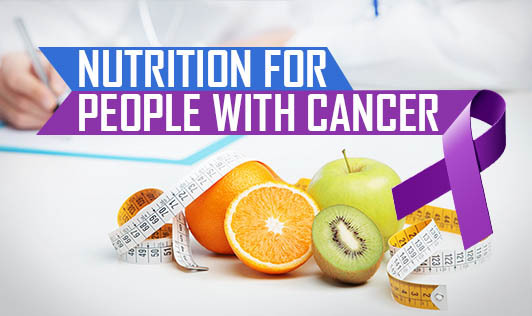 There are growing scientific evidences that diet and nutrients play a causative role in the formation of cancer and that these factors may be amenable to active methods of prevention. Here are some dietary guidelines which need to be followed to prevent cancer. For good and normal health and as prevention against cancer, it is very essential to maintain appropriate weight and height. Whole grain cereals and pulses should be used as sources of energy, and protein for a healthy immune system. Care should be taken in the intake of fats, especially saturated fats, which should be between 20 to 25% of the total calories. Fresh vegetables and fruits, preferably green and yellow, should be consumed in plenty after thorough washing. A variety of foods should be used routinely in the diet. Intake of processed and preserved foods should be in moderation. Intake of smoked, barbequed, salted, and pickled foods should be limited. Beverages, especially carbonated ones, should be consumed in moderation. Intake of alcohol and chewing tobacco and smoking should be avoided. Indoles, isothiocyanates, and phenols in foods like onion and garlic neutralize cancer-causing chemicals and reduce the risk of tumours. At least half-a-litre of milk and yoghurt should be consumed daily. Cooking methods such as steaming, baking, and boiling should be used more than frying. Diets rich in fiber such as whole grains, cereals, vegetables, fruits, and legumes should be consumed more. Deficiency of micronutrients leads to cancer of the epithelial, alimentary, and respiratory tract. Hence, the inclusion of foods rich in carotene, riboflavin, vitamin C, iron, zinc, and selenium is essential. Antioxidant rich foods, such as green tea, tuna and salmon fish, and turmeric need to be included in daily diet. Frequent feeding in small quantities each time should be given. Food should be served at low temperature. Dry foods should be avoided. Large meals should be avoided. Only cooked, fresh vegetables and fruits are to be given, as there is destruction of gastrointestinal bacteria due to drugs, which increases the susceptibility to infection. Also there is reduction in RBCs which lowers the resistance power. Calorie intake should be taken care of as there is decreased caloric intake and increased calorie utilization due to altered metabolism. Paneer (cottage cheese) is a milk product having quality protein, vitamin D, B12, and riboflavin, calcium, and phosphorus. Similarly egg whites have the biological value of protein. Hence, they can be added to the diet in various forms. High dietary fiber is protective against colon and stomach cancer, It’s inclusion in the diet is essential. High intake of Vitamin A and E is recommended. They act as a free-radical scavengers and also prevent nitrosation and nitrosamine-induced cancer. Vitamin B Complex, C, and Folic Acid, and iron and selenium act as protective agents against cancer. In conclusion, it is evident that micro and macronutrients play important roles in different stages of cancer. Vitamins A, C, E, and K, and selenium are found to fight cancer or limit its progression. B-complex vitamins such as thiamine (B1), riboflavin (B2), B12, pyridoxine, niacin, and cobalamine if consumed in less amounts may lead to tumorogenesis. High intake of fiber has a protective effect from cancer, whereas high intake of fats may increase the incidence of cancer. Zinc, molybdenum, and manganese also have a role in cancer occurrence.